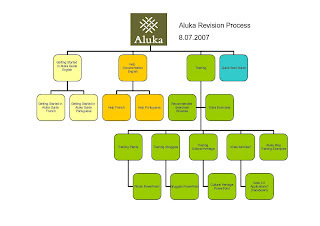 This should mean nothing to anyone not associated with Aluka, or specifically Aluka User Services, but I love color-coded charts. I love process and visualizations. I am so pleased by the symmetry. It is hard to explain, but it soothes me on some internally profound level.